If you’re creating a storyboard for e-learning, odds are you’ve come to the web to browse around and get ideas on what should be included in it. 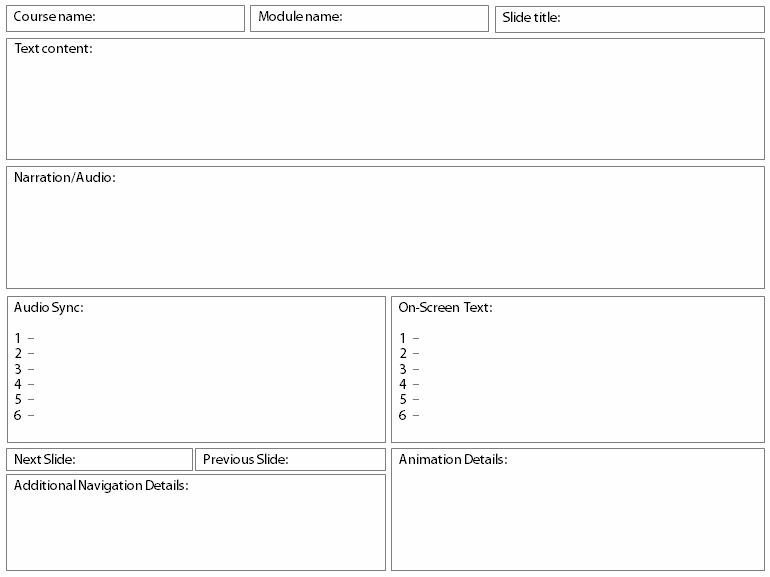 To make that easier for you I’ve compiled a gallery of 15+ e-learning storyboard templates and samples available on the web. 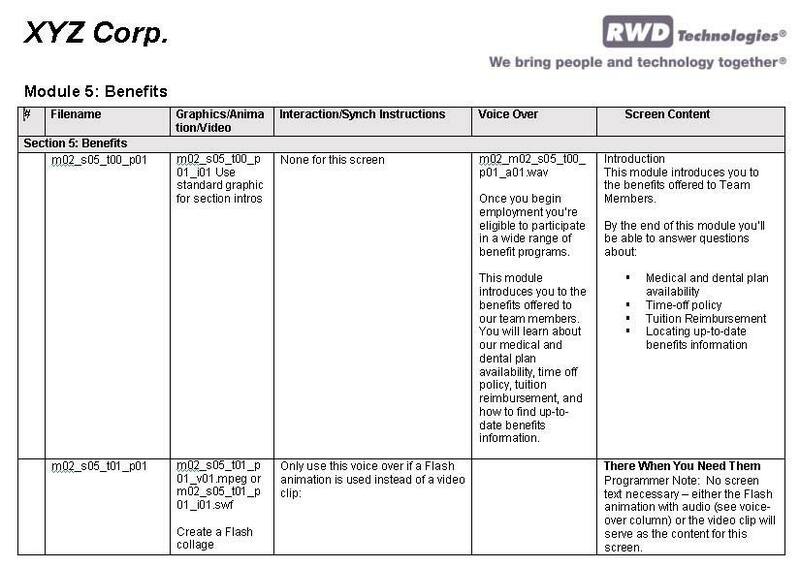 Hopefully going over these examples will help you narrow down what you should include in your own storyboard document. Got any tips of your own about storyboarding for e-learning? Anything you think needs to be included in a Storyboard? Please feel free to leave a comment below. Great examples and ideas. Thank you. good examples Thank you very much. Thanks a lot Nicole for such a great effort, you keep up the excellent work, and we will continue enjoying it, and for sure applying it. Hi Nicole, I just found your blog and would appreciate it if I too could have a copy of your templates. It would save me a lot of work. I am glad that you are willing to share. Thank you so much. 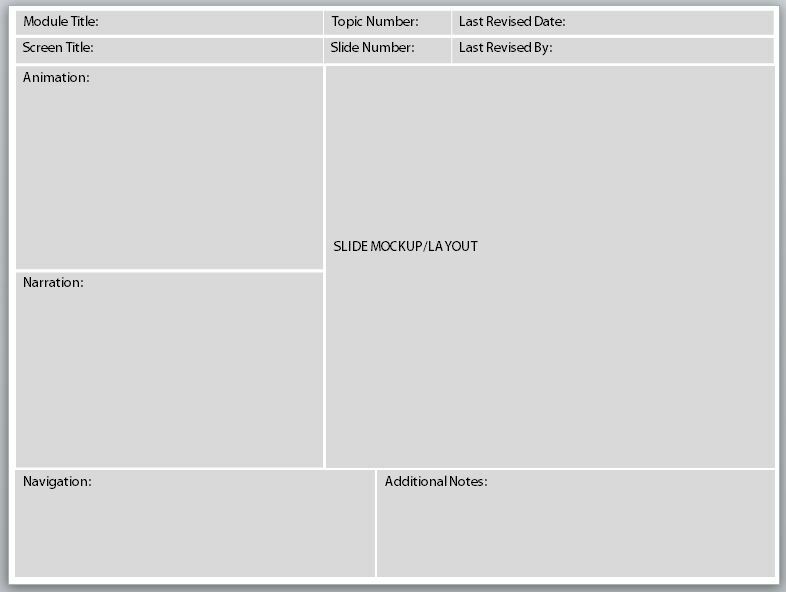 If you are still willing to share PowerPoint storyboarding templates, I would very much appreciate copies of them. And not to kiss up too much, but this is a REALLY useful blog. Thanks! 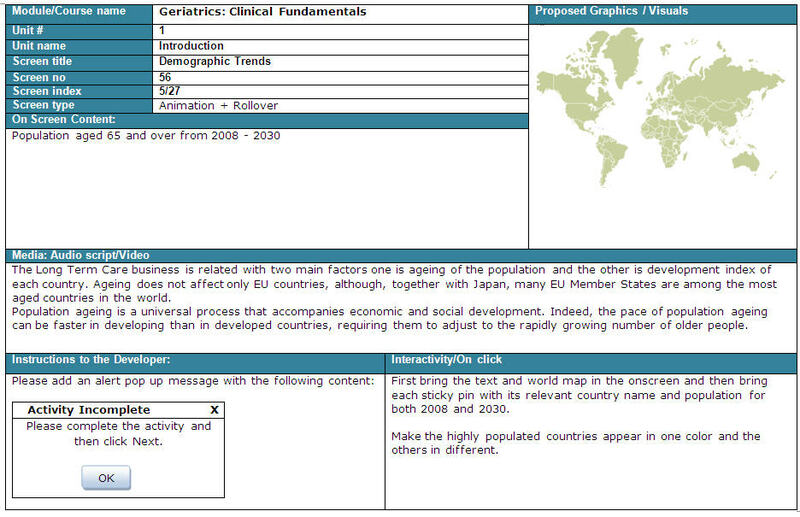 I am interested in leveraging the templates you created in ppt. Could you email them to me? Thanks for your willingness to share. I’m an aspiring ID&T Graduate Student at the University of Tampa and was in search for a unique Storyboard for my class project. Moreover, I came across several of your models and wanted to know if you could be so kind to share them with me. Thank you for your inspiration and your models, I hope to hear from you soon … as I’m working on my storyboard presently. Thanks for this ‘library’, Nicole. I believe that there are almost as many variations on a theme as there are instructional designers.The one thing that remains constant is that it’s advisable to run ones storyboard design/s past the developers! 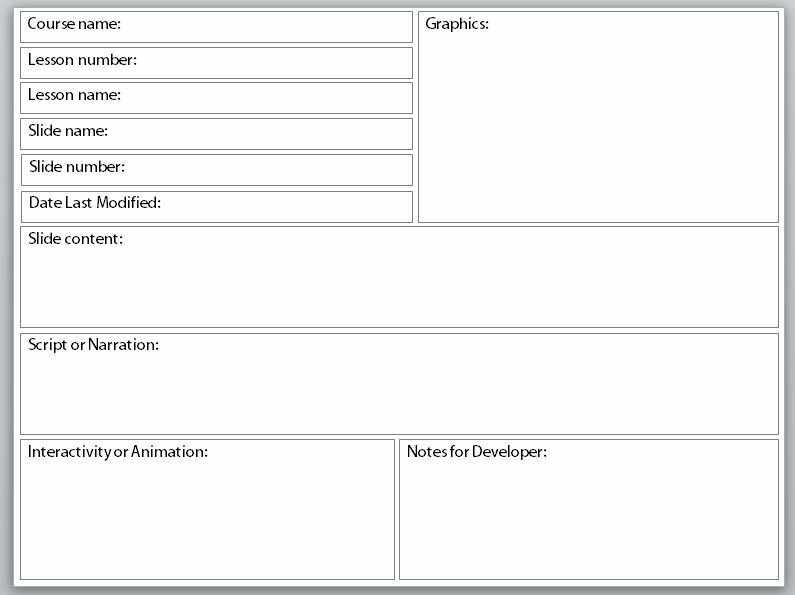 Connie Malamed has a great collection of storyboard templates available for download on her site. You might want to check out her list for more inspiration. It’s nice to have the visual comparison here, even if they aren’t downloadable. Thanks for the tip Christy! Super cant wait to read more from you as alwayssolid information Thank you! bookmarked! Feel free to use the template and the assets in it however you like. I hope you find it useful! I think this post is very useful for all IDs. Typically, an elearning company would use its customized template, I would visit this site to check out anything new that I could use! Thanks! Hi, Nicole: (Daniel here, from the Articulate forum). Thought you and readers interested in Storyboarding) might like to know that my Instructional Design Essentials: Storyboarding” is now live on lynda.com. 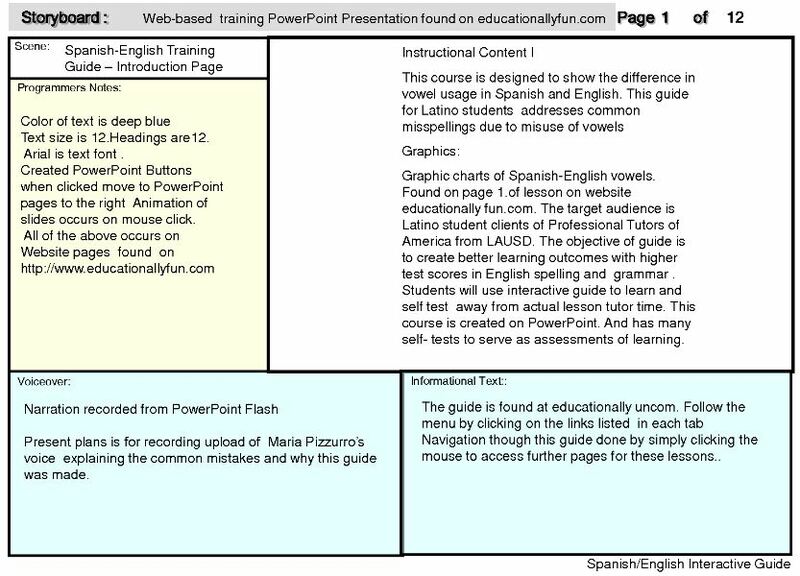 Thanks for the post , these templates will be very helpful for me while developing e-Learning courses.